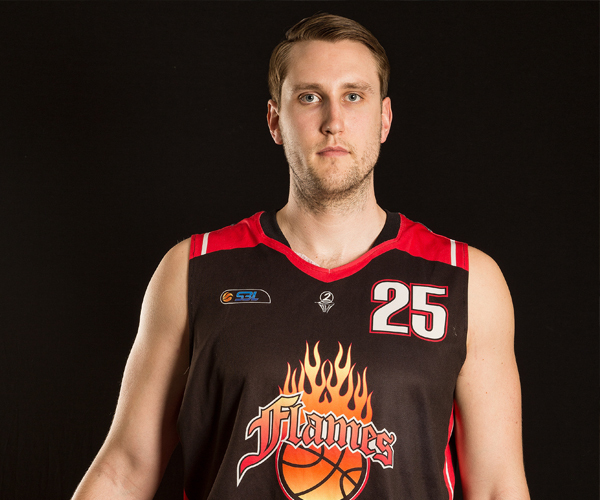 THE East Perth Eagles scored a second strong Men’s SBL victory in Round 5 on Sunday afternoon keeping the South West Slammers winless while the Rockingham Flames claimed a thriller over the Lakeside Lightning in overtime. There were two games on the Sunday afternoon to close Round 5 with East Perth backing up its win over the defending champion Perth Redbacks beating the winless Slammers while the Flames took out the game of the weekend over the Lightning in the extra period. Round 5 in the Men’s SBL began on Friday night with the Cockburn Cougars beating the Mandurah Magic 81-75 at Mandurah Aquatic and Recreation Centre, and the Kalamunda Eastern Suns defeating the Perry Lakes Hawks 109-101 at Ray Owen Sports Centre. Then on Saturday night, the Willetton Tigers beat the Goldfields Giants 96-77 at Niels Hansen Basketball Stadium and the Geraldton Buccaneers beat the Joondalup Wolves 100-96 at Active West Stadium. The Stirling Senators also defeated the Mandurah Magic 109-95 at Warwick Stadium, the East Perth Eagles downed the Perth Redbacks 94-87 at Belmont Oasis and the Lakeside Lightning defeated the South West Slammers 94-89 at Eaton Recreation Centre. Then on Sunday afternoon, the East Perth Eagles beat the South West Slammers 96-66 at Morley Sport and Recreation Centre and the Rockingham Flames beat the Lakeside Lightning 111-110 at Lakeside Recreation Centre in a stunning overtime contest. Sunday’s action began with the Eagles and Slammers both coming off playing the previous evening where East Perth beat the Redbacks while the Slammers couldn’t quite hold on for their first win of 2018 at home to the Lightning. East Perth made a strong start with 27 points in the first quarter to 14 and then pulled away through the second half topped with a 34-16 fourth period to claim the emphatic 30-point victory. Eagles import Jonathan Morse led the way for the Eagles with 22 points, 11 rebounds, four assists and two blocked shots. Drew Williamson added 15 points, six assists, five rebounds and four steals for East Perth, Andrej Donlagic 15 points and five boards, Aiden Murphy 12 points and Hamish Warden nine points, five rebounds and two assists. With the Slammers without Justin Reynolds and still awaiting the availability of Brian Voelkel with another important player from last year’s playoff run, Chris Douglas, not playing they just didn’t have enough bodies to take it up to the in-form Eagles. Michael Lay delivered 18 points, six assists and five rebounds shooting 8/13 from the field with Clive Weeden adding 13 points and 11 rebounds, Demetrius Robinson 10 points and 11 boards, Travis Durnin 10 points and seven rebounds, and Matthew Leary eight points and four boards. It was a much tighter affair at Lakeside to close Round 5 in the Men’s SBL on Sunday afternoon. In the end it was an offensive rebound on his own missed shot and then a three-point play from Perth Wildcats vice-captain and three-time NBL championship winner Greg Hire that sealed the one-point Rockingham victory as the overtime period came to a close. It was a stunning game to close the weekend’s action and it was a fresh Rockingham playing its only game of the weekend that ended up prevailing with Lakeside coming off the trip to Bunbury the previous night. As well as Greg Hire hitting the winning basket and free-throw for the Flames on the way to 31 points, 23 rebounds and seven assists on 10/24 shooting from the field, 4/10 from beyond the arc and 7/11 from the free-throw line, Josh Ritchart was a monster for Rockingham. The import finished the afternoon with 42 points, five rebounds, three assists and two blocks while shooting 18/30 from the floor and 6/16 from three-point range. Ryan Godfrey added 16 points, six assists, four rebounds and two steals for the Flames, and Justin Beard eight points, six boards and three assists. It was tough going inside for the Lightning still awaiting the arrival of Daniel Alexander and with Jarrad Prue not playing. As a result they were outrebounded 59-35 and gave up 25 offensive boards. Given that, they did a terrific job to take it to overtime and get so close to the win with their up-tempo play and full-court pressure forcing Rockingham into 24 turnovers. The Lightning are now also without point guard Mason Bragg but John Isenbarger had another strong showing with 27 points and seven assists. Rowan Mackenzie added 22 points, six rebounds and three assists for Lakeside, Matt Vinci 19 points and four assists, Nick Palleschi 13 points and six assists, Michael Garbellini 13 points, seven rebounds, four steals and three assists, and Hayden Bell 12 points.